Sarah Nader - snader@shawmedia.com Patty Sperando of Lakewood poses for a portrait in her Elvis room at her home Friday, August 12, 2016. 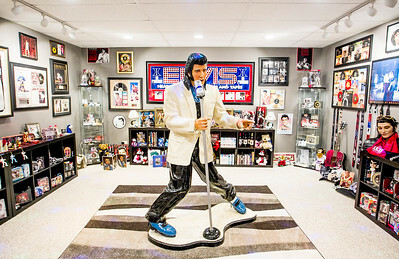 Sperando is a huge fan of Elvis and has been collecting memorabilia for 50 years. 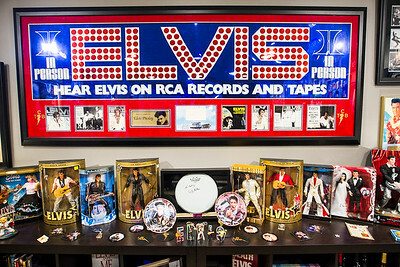 Sarah Nader - snader@shawmedia.com A view of some of the Elvis memorabilia Patty Sperando has collected throughout the years at her Lakewood home Friday, August 12, 2016. 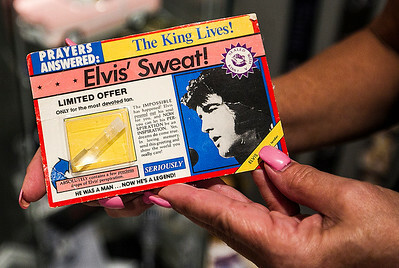 Sperando is a huge fan of Elvis and has been collecting memorabilia for 50 years. 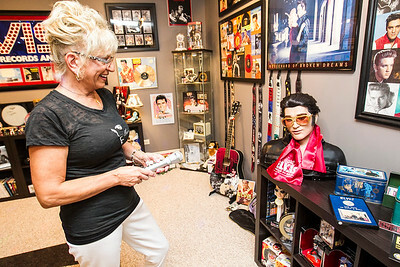 Sarah Nader - snader@shawmedia.com Patty Sperando of Lakewood tunes on an Elvis talking head in her Elvis room at her home Friday, August 12, 2016. 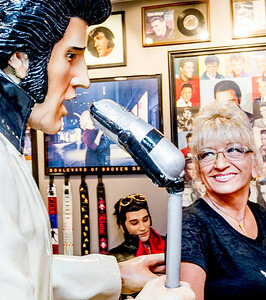 Sperando is a huge fan of Elvis and has been collecting memorabilia for 50 years. Sarah Nader - snader@shawmedia.com Patty Sperando of Lakewood hold a piece of Elvis memorabilia at her home Friday, August 12, 2016. 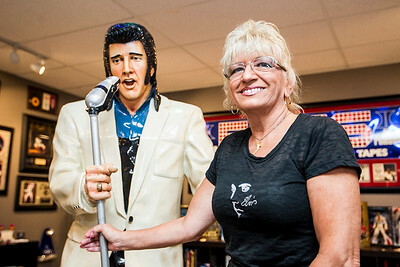 Sperando is a huge fan of Elvis and has been collecting memorabilia for 50 years.